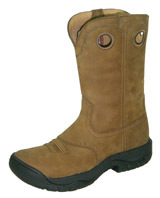 >>We are updating our pages to include individual information on all boots. 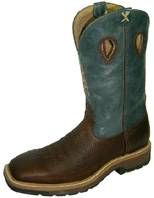 Who says you can't combine the best of boot technology with a Western cowboy boot! Who says a lightweight boot can't be tough! as soon as you wear a pair all the long day! "Easy on yer feet. Easy on yer wallet!" Twisted X workboots are a Cultured Cowboy's favorite. 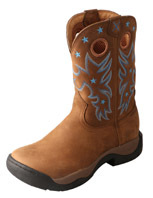 "Cowboy Work Boots" have to have a standard above the normal industrial work boot. Yes, the safety features are similar or surpassed. 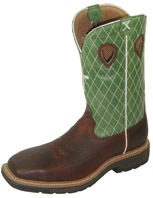 But the boot will have a more substantial lateral support system for all the rigors of cowboy life. 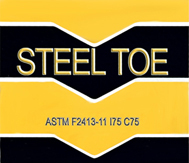 The "under your foot" parts are not only cushioned, but made for long hours on concrete or dirt surfaces. If you've been using a "traditional" name brand for your safety or non-safety boot needs, ya gotta try a pair of this Twisted X brand. There's a reason they chose a barb wire design on their logo! Discover it by wearing some! We've incorporated, into our work boots, all the components necessary to provide you with style, technology, stability, durability, and comfort. These boots are made to hold together and perform. 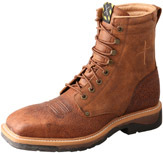 Twisted X is confident that this is the best overall work boot package available. You could say these are XTreme work boots. You've got better things to worry about than your feet. For heavy duty Farm & Industrial work settings. 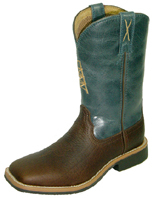 The TwistedX cowboy work boot is exactly what is says. 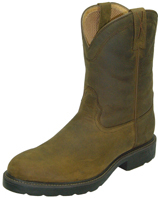 Durable, heavy duty workboot with a cowboy profile. will guarantee comfort for a long day on your job. 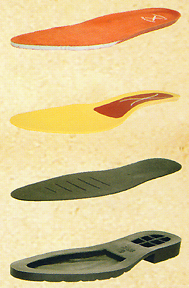 And you can order replacement or extra footbeds to swap if your feet sweat tons. but built tough for work! By the way, did we mention Comfort? All this style and Comfort available for you! for those long days. 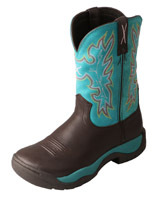 You will love the way that the inner boot molds to your foot. 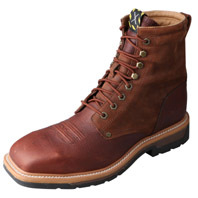 The Super Slab sole savers make a comfy crepe type sole boot last a lot longer. Cool Looks in a Work Boot. 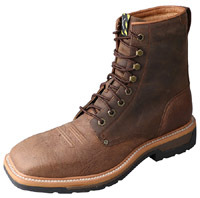 All Boots in this category are NOT Steel Toe. and some exciting color on the uppers. 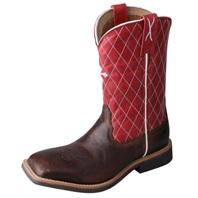 15% lighter than a normal cowboy boot. 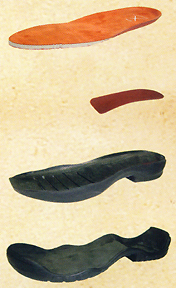 Non-Safety Toe also Available on most styles. 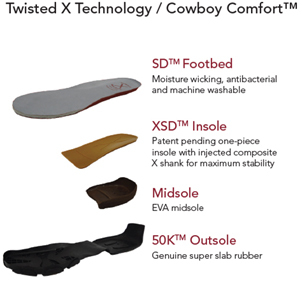 See More Twisted X Work Boot Technology by clicking here! 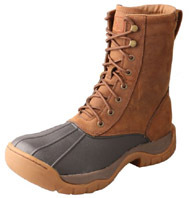 Each Work Boot category has it's own Techno Twist. EZ Rider & Cowboy Tech will be the same as the non-steel.